"We want to make specialty peppers more accessible"
More and more regions in the United States are growing hot peppers as the summer season matures. For Ark Foods, a grower of specialty peppers, their season has ventured north for the summer into North Carolina and New Jersey. The company is reporting excellent yields in New Jersey while North Carolina is still seeing an increase in volume, albeit more moderately. "We are currently growing our specialty peppers in Hendersonville, North Carolina, and Vineland, New Jersey," said Noah Robbins, founder of Ark Foods. "The crops are looking great at the moment and production is up. Yields are through the roof in New Jersey, while in North Carolina, rain has moderated the uplift in production. Production is much better than last year when we had extensive rainfall during the season. The season will continue until we get our first frosts which are generally in October. Production then moves south into North Florida as well as Immokalee." Ark Foods grows many of the hot peppers that are already reasonably well served in stores, such as jalapenos, poblanos and habaneros. Their goal when they started, however, is to grow some of the less widely-produced varieties on a larger scale. Peppers like the Shishito - which reportedly is seeing a strong increase in demand in the US - are on the radar. "Our goal is to grow specialty peppers in various regions, enabling us to grow year-round and offer customers a consistent supply and quality product," Robbins shared. 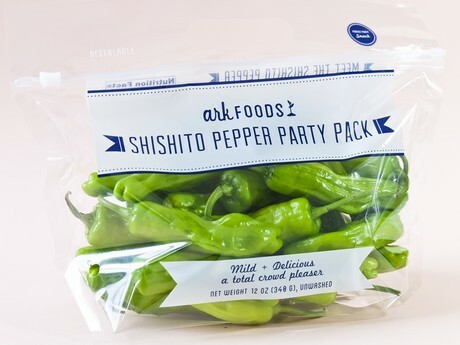 "Ark Foods started on just a few acres with the shishito pepper and we are now the largest grower of shishito peppers in the United States. We have year-round production in various regions and our distribution spreads across the East and West Coasts. As a result, more people are now familiar with our program. We want to spread awareness and bring interesting produce to everyone, every season and at accessible price points. Shishitos were the first of these varieties and it has been a fantastic item with tremendous growth." By growing some of the specialty peppers on a larger scale, Robbins said the company has fulfilled part of their goal. Another aim is to introduce new, niche products to the market. He noted that millennials in particular are seeking out new options with an emphasis on health and convenience, and Ark Foods wants to be at the forefront of this. One of the varieties in development is the Honey Zepper, which has its roots in the habanero. "The Honey Zepper is an interesting take on the habanero," Robbins shared. "It has all the aroma and tanginess of the habanero but without the heat. The Honey Zepper is still in the developmental stage at the moment and not yet available commercially." "We are constantly looking at newer varieties to test out and bring a unique and interesting experience to our customers," he continued. "Millenials are always looking for something different and therefore seek out produce items like the shishito pepper. Currently, we have another new line coming out in the Fall, the details of which will be revealed later." 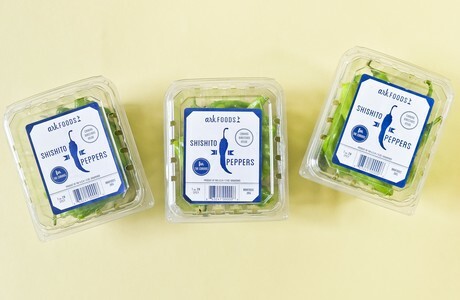 With the intention of introducing unique produce items that appeal more to millenials, Ark Foods has designed their packaging with that demographic in mind and they say the results of this decision stands out in the produce department. They offer both clamshell and tote bags in different weight configurations. "Our peppers are available in clamshells or tote bags, depending on the retailer's preference," Robbins said. "The shishitos, for instance, come in 1 pint, 12oz, 18oz sizes. Our packaging and brand definitely stands out to millenials. We are very different than traditional growers, packers and shippers and have found that younger consumers relate well to our brand and the experience we give them. They are attracted by our packaging and subsequently trust in our approach to fresh produce, allowing for a willingness and excitement to try new items under the Ark Foods brand."